Here you are going to find the Best High DA Sites List for Blog Commenting in 2018. In SEO, blog commenting is an old strategy for Quality Link Building, but it still works great. Blog Commenting is not Dead! To make Quality Backlink, only Blog Commenting is not sufficient, but it adds extra juice for your website to gain rank and traffic. Blog Commenting is more difficult in these years, it may increase the spam score of your website if commenting is not properly done. Submitting your website link to the listed website with High PR can give you Do-Follow / No-Follow Quality Backlink that will surely boost up your website's PR. The Do-Follow Blog commenting sites listed here are Comment Luv blog sites, Instant approval blog commenting sites, or maybe Facebook or Disqus commenting sites. Disqus Comment: Websites that use Disqus commenting plugin or system comes under this type. Here you have to be registered on Disqus then only you are enabled to put comments on such website. With Disqus comment, you can increase follower on Disqus but you will not get backlink and traffic from referral website. Facebook Comment: Facebook comment is generally used in news portal sites. Here you will comment like in a Facebook post. Disqus comment and Facebook comment are mainly used to avoid spam. Instant Approval Comment: Websites where your comment is published without moderation. Here comments are approved instantly. But the problem with Instant Approval comment is that everyone can easily publish their comment so there may be also spam comment. So it would be much better to check whether the website where you are putting comment is either malicious or banned by search engines. Also, check the number of comments displayed on the blog, reject such instant approval website which has more than 150 comments. Comment Luv: Websites that use comment Luv system are most desirable for Blogger to put their comments. 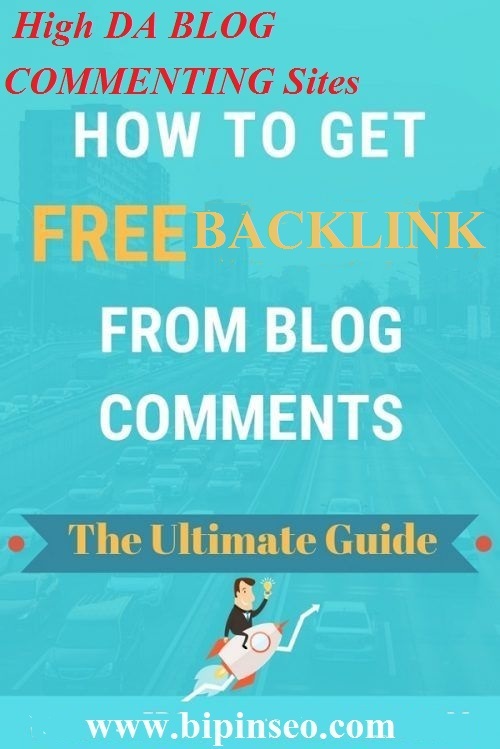 You may gain Quality Do-Follow Backlink and traffic from blog commenting on High PR websites that use Comment Luv system. Another interesting part with Comment Luv is that your latest posts will be fetched and displayed just below your comment if you put a comment on a website that uses Comment Luv system. What to avoid on blog commenting? 1) Avoid Commenting on the blog that uses Facebook or Disqus Commenting system. Because this will not provide any juicy referral traffic. 2) Never comment on a blog that is not relevant to your Blog Niche. 3) Avoid blog with spam comments. Using Keyword in the name section may add some value to your website but remember pro bloggers hate such comment and spam such comment. 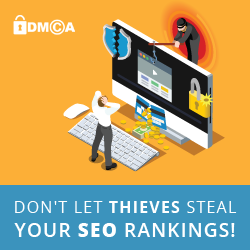 So this will increase your spam score rather than the backlink. 5) Avoid using a fake or invalid email address on the comment. Stop using an invalid email address because it will break the relationship between you and another blogger. Use a separate email address for the blog commenting to avoid unsolicited mail. It would be much better if your email address is connected to a Gravatar because a picture speaks more about you. Steps for connecting an email address to Gravatar for improving Blog Commenting. i. Go to Gravatar and click on Sign In button on the right side. ii. Add a profile picture so when you comment then it will add more value to your comment. 6) Avoid commenting on a blog whose Authority is less than 9. Use the Sites with High DA/PA and High PR as listed below for free blog commenting. What to do to get your comment accepted on top blog commenting sites for Quality Backlink? 1) Choose a popular highly ranked website for commenting on the blog that is relevant to your niche. 2) Find the latest blog-post on that website because admins are always focused on their newer posts rather than old posts. 3) Read the whole posts so that you can know actually what the post is telling to its readers? Benefits of reading the post is that you can give your idea for that post. 4) Express the idea that you have gained after reading the blog. 5) Find the missing terms or concepts in that blog and express your view with the missing term in the post. 6) Ask question to admin so that admin can be more focused on your comment. 7) Write about a 130-word (more or less) comment. 8) At last on your website section, add homepage link or post link. If you want to get a backlink with over-optimized website keyword from blog commenting then you can use sites on Blogger platform. 9) Use email address connected to gravatar to display images on the comment. 10) Read the other comments which have been already displayed and get an idea from the old comments. But never copy the comments.